Whether you choose Capri for a day or the whole summer, it will captivate you. Besides the spots of exorbitant prices attracting loads of tourists, there are other sights which include splendid villas, the precious, striking, coloured landscape and the breathtaking blue shades of the water, which can be seen from anywhere on the island. Ordinary people and celebrities choose this island which has all the beauty of the sea, beach-less coasts and vestiges of Roman culture. It is known that the island was inhabited in prehistoric times, then the Greeks arrived and later on the Romans. Its potential as a holiday resort was discovered when, at the beginning of the 1900s, artists and Russian revolutionaries came to the island. As you arrive you can take the funicular, a bus or taxi to go to the town of Capri. 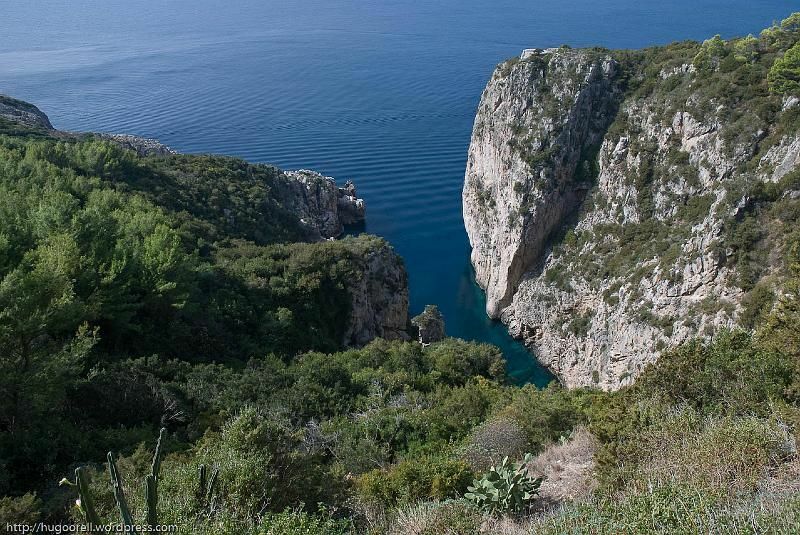 You may also arrive there along Via Marina Grande, a 2.25-km ascent. 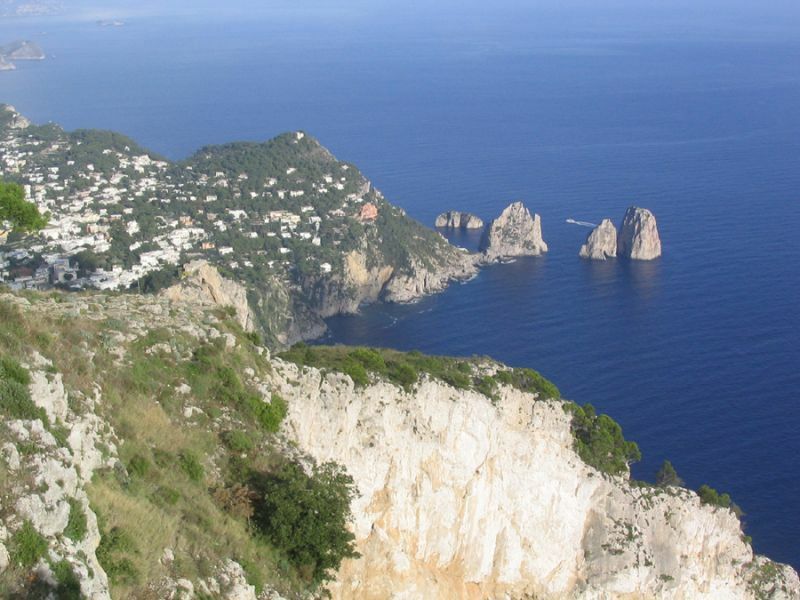 When you reach Via Roma, you head to the east towards the town of Capri . Capri is a beautiful combination of narrow traffic-less streets, white stone constructions, lush hotels, exquisite designer shops, bars and restaurants. Its little streets overflow with wealthy holidaymakers or people eager to capture photos of how the other half live. The meeting point in Capri is the Piazza Umberto I or Piazzetta, where you can enjoy the passeggiata, and observe and be observed. The Piazzetta is watched over by the clocktower and the Chiesa di Santo Stefano, an archetype of 17th century Baroque architecture. Its flooring, formerly Villa Jovis’s floor, is marbled. The reliquary by the northern chapel houses a bone that is said to have kept Capri safe from the plague in the 1800s. The Museo del Centro Caprense I Cerio on Piazzetta Cerio houses a collection of books and journals dealing with Capri and fossils unearthed on it which date back to the Neolithic and Palaeolithic period. From the piazzetta, take Via Vittorio Emanuele and then Via F Serena to delve into the Certosa di San Giacomo (Viale Certosa), built in the second half of the 1300s, following the typical Caprese architecture. It was shut down by Napoleon‘s men. At present it has been turned into a school, library and a museum displaying some paintings from the 1600s. One of its cloisters was erected in the 1300 and the second, and bigger, was constructed in the 1500s . The church houses some good quality frescoes created in the 1600s. From the monastery, go along Via Matteotti to another must visit: the Gardens of Augustus. From here, the three rocks emerge from the water and point to the sky, known as the Isola Faraglioni, make a stunning view reaching 109m of height, where you'll find the curious blue lizard. The island is swept across by well-kept strolling paths. One of the routes begins in a natural arc created by water erosion, the Arco Naturale, goes past the Grotta Matermania, a gigantic cave once used to worship the water nymphs, then past the summer resort Malaparte, then head for Belvedere di Tragara where the vantage point of the Isole Faraglioni is fantastic. Via Tragara and then Via Camerelle lead you back to Capri town. A 2-km walk from Capri town is Villa Jovis, Tiberius’ most important villa on Capri and the most spacious and luxurious villa of its time. A network of channels was constructed to bring rain water to its storage and provide the baths and 3000 sq-m gardens with it. Tiberius’ rooms leads to the splendid Punta della Campanella. A view of Tiberius’ Leap, from where, it is said, he got rid of those he did not like anymore, is glimpsed behind the villa. In the town of Capri, the most important religious celebration is Festa di San Costanzo celebrated on the 14th of May. On the 1st and 6th of January, its inhabitants celebrate a new beginning on the Piazzetta. Besides cafes, there are only a few discos and top-quality taverns opening from 10 to 4 where admission is exclusive. Taverna Anema e Core (Via sella Orta) and Guarracino (Via Castello) are popular places hosting famous visitors. There is also Musmè, a trendy discothèque (Via Camerelle), or you can head to Baraonda which overflows with younger dancers adoring hip hop, revival and house. The two shopping thoroughfares Via Vittorio Emanuele and Via Camarelle are lined with every conceivable designer shop imaginable. Other shops offer ceramic works and limoncello and perfumes of lemon scents, one of them following the same formula discovered seven centuries ago. Prices are cheaper inland. All the traditional food is served in trattorias, especially the local speciality, the caprese salad, which Capri has given to Italian cuisine. La Capannina on Via Le Botteghe is typical Caprese trattoria. You will certainly find a celeb here. Its menu includes all the local specialities, delectable pasta, grilled meat and fresh fish. La Cisterna on Via M Serafina is a busy eatery located in a Roman cistern which is about 20 centuries old. It attracts visitors with its typical dishes. Some of the recommendations are the pasta with chick peas and the pizza. Servings are very generous. La Pergola on Via Traversa Lo Palazzo is magnificently located with precious views and with food served under the vines climbing its terrace. The menu has a selection of typical and creative dishes. Raffaele Buonacore is located on Via Vittorio Emanuele and prepares lip-licking pastries, waffles and sfogliatelle. This snack bar also sells pizza frittatas and bread rolls to take away. Check out Verginiello on Via Lo Palazzo to eat well and at affordable prices. Its food is good and the views of Marina Grande is magnificent. Try its pasta and grilled steaks. BY BUS: There are buses running from Via Roma to/from Marina Grande, Anacapri and Marina Piccola, or from Marina Grande to Anacapri and from Marina Piccola to Anacapri. A bus leaves from the bus station in Anacapri to visit the Grotta Azzurra and Faro di Punta Carena. Tickets are valid for the day. BY CAR: Just a few roads are available for cars and there is no car rental service. Cars are only accepted if registered abroad or rented at an international airport. 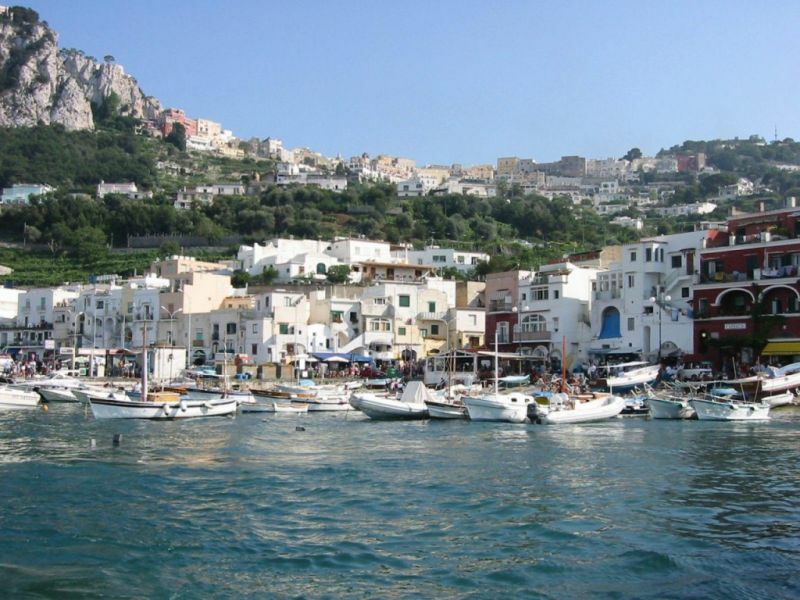 BY FERRY OR HYDROFOILS: Boats link Capri-Sorrento and Naples. Another route is from Ischia, Amalfi, Positano and Salerno. Timetables change according to the season. In the summer, from Naples (length: 70-50mintes, services: 5 per day). Another, Navigazione Libera del Golfo, provides 25 services daily. To/from Sorrento (length: 25 minutes, services: one company offers 4, the other offers 25), to /from Positano (services: 6 a day), to Amalfi (services: 7 a day), to Salerno (services: 5 a day). BY FUNICULAR: The best way to go to Capri town from Marina Grande. Take them on the west of the port or at the funicular station. BY HELICOPTER: They depart from Capodichino Airport in Naples. BY SCOOTER: A great way to discover Capri. You can rent a scooter from Rent a Scooter Marina Grande, in Anacapri or Marina Grande. BY TAXI: There are plenty of taxis on Capri.